Despite all the grousing and complaining about politics, the current state of the world and what the future might hold, I’m really not worried. In yesterday’s T-R, you met 51 incredible reasons why I’m so confident and at ease if you read our “Leaders of Tomorrow” special section. 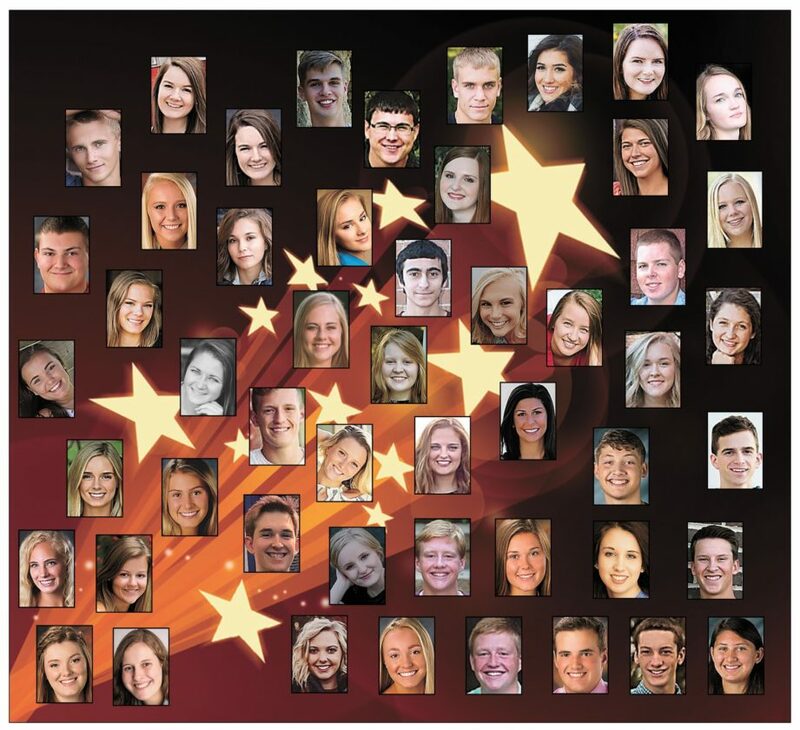 Academically gifted and involved in their communities, these 51 high school seniors from nine area schools illustrate why we have so much to be proud of here in Central Iowa. These young men and women are great examples of hard work, perseverance and dedication. They epitomize what’s right about the world around us. You’ll meet future business owners, scientists, teachers, engineers, attorneys, politicians, pastors and graphic designers. You’ll also find this group has heart and compassion — they care about what happens in the world — actively involved in a number of activities and volunteer efforts. And if we know anything, we need a lot more compassion and understanding these days, instead of the ill-tempered, mean-spirited bloviating we all see on our TV screens at night. In the newspaper business, it’s easy to focus on “what’s wrong” with our young people. After all, we see those reports of teenagers sometimes getting into trouble or making poor choices. But just like most generations, the vast majority of young people are, in fact, productive citizens who want to do something good with their lives. They’re not interested in doing harm or being the center of attention. They want to do good. Fifty-one examples are on display in today’s special section — reflective of the hard word and sacrifice their parents, families, friends and teachers have made. And the students featured selflessly give credit to those who have helped them along the way. We illuminate these shining stars now because we understand that as the leaders of tomorrow, their brilliance will only help shine a light on our collective future — they will make decisions and judgment calls that will impact us all. So we applaud Brad, Mackenzie, Madison, Troy, Brenden, Elijah, Emily, Erin, Lily, Madeline, Sadie, Claire, Cory, Lydia, Ashley, Chloe, Martin, Rachel, Chloe, Abbie, Mackenze, Saylor, Stephanie, Emma, Beau, Emma, Taylor, Ciara, Emily, Grace, Gretchen, Jacqueline, Jill, Joshua, Lucas, Madeline, Luke, Matthew, McKenna, Molly, Nathan, Olivia, Regan, Ryan, Sam, Tyler, Victoria, Haley, Kyla, McKensie and Wes. We know you’ll do great things in the years to come.